Sit quietly for 5 minutes, with your feet on the floor and back well supported. Your arm should be resting on a flat surface, with the upper arm at heart level. Place the cuff such that the tubing runs down the centre of your arm, in line with the middle finger. 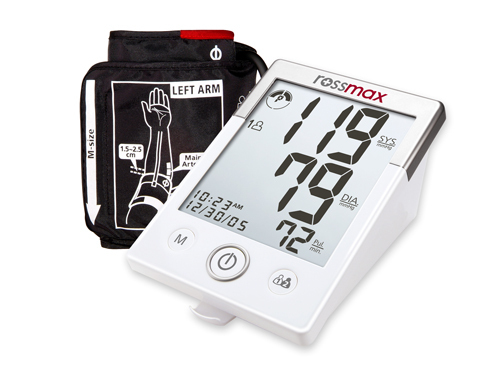 Blood pressure (BP) is usually measured in the non-dominant arm. For example, if you are right-handed, this will be your left arm. Measure the same arm each time. Do note that there are slight differences in BP measured between different arms. Take your BP at about the same time each day as there are differences in BP measured throughout the day. Do take 2 or 3 readings, each about 2 minutes apart, to obtain an average reading. This may be more accurate than just 1 stand-alone reading. Do not smoke, take caffeinated drinks or exercise 30 minutes before taking BP. Do not take your BP with a full bladder or after a big meal as these may increase BP. Do not be overly worried with a one-off high reading. Take a break before measuring again. However, if the reading remains high all the time, see a doctor. Do not move around or talk when talking BP. Do not cross your legs while taking your BP.